With increasing health consciousness, more and more people in the United Kingdom are striving to maintain a healthy lifestyle. In the recent years, there has been an increase in the number of people who seek the services of the country’s health and fitness industry. The industry is currently valued at over £4 Billion and is still projected to rise. This encouraging trend requires to be met by capable and well-trained professionals in the field. Like many other tasks, fitness requires discipline to be effective. Routines must be adhered to and plans created to ensure the most benefit. 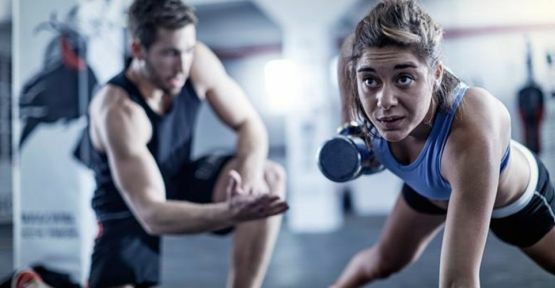 Because it is easy to fall back on schedules and to fail to meet goals if not properly motivated, seeking the services of a qualified personal trainer is essential. Trainers are experts in fitness education and are certified to guide trainees through particular routines and workout plans. They first assess the level of fitness of the trainee in order to objectively determine the best routine to follow. They then create a schedule or workout plan in consultation with the trainee and guide them through it. Like a teacher, the trainer guides and corrects the trainee in case of wrong application of a technique, while motivating them to work towards their intended goal. Most trainers combine aerobics with resistance and flexibility training in different workout plans to ensure that the client is well-exposed and kept healthy. In addition to this, the trainer ensures that the client does not push beyond their own limits to ensure that fitness does not come at the expense of wellness. At Origym, we offer internationally accredited fitness education that is also recognized by the Register of Exercise Professionals. We pride ourselves on providing education that is wholesome and fun, offering you limitless opportunities!